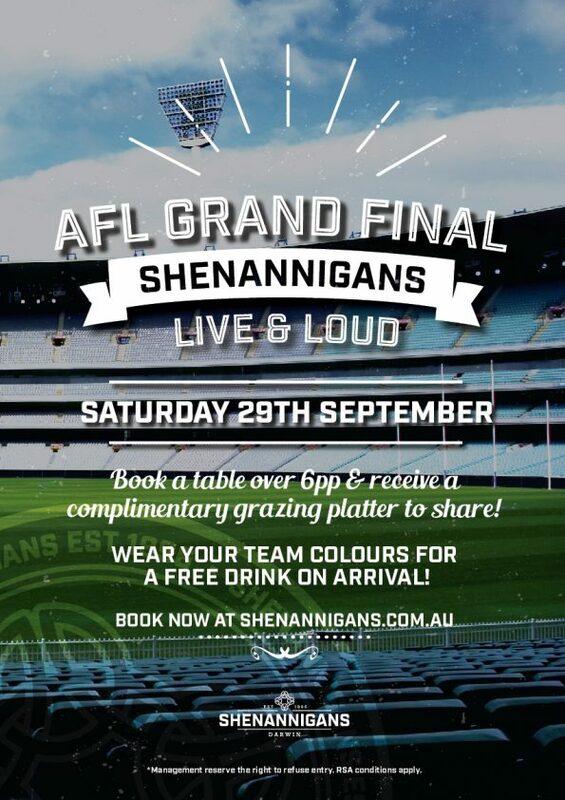 Catch all the AFL Grand Final action LIVE & LOUD from the MCG at Shags. Book a table for 6 people or more & receive a complimentary grazing platter to share! Wear your team colours for a free drink on arrival. There’s no better place to spend Grand Final Day other than at Shags. Get your mates together & book a table!